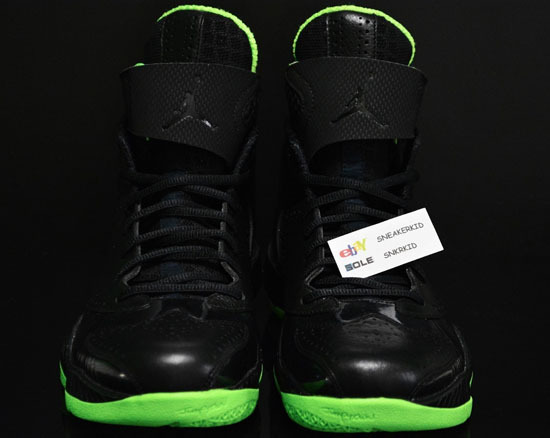 Made to celebrate the launch of the Air Jordan XX8 during NBA All-Star weekend 2013 in Houston, Texas. 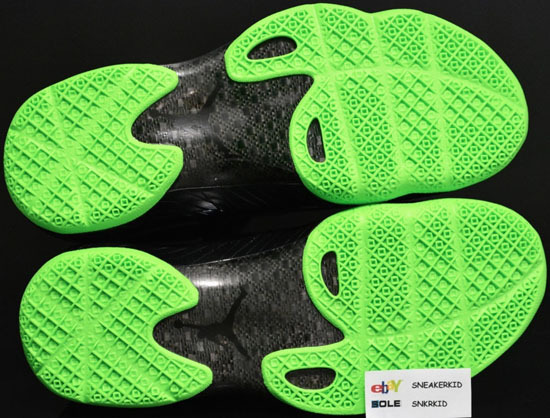 This Air Jordan 2012 comes in a black and electric green colorway. 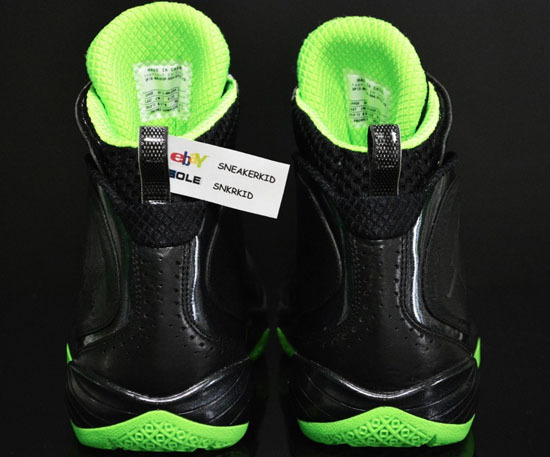 Featuring an all black upper with electric green on the sockliner and outsole. 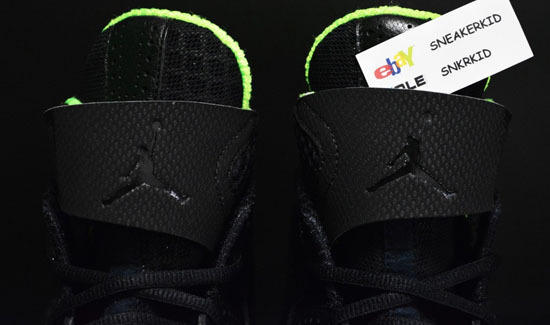 A one-of-one pair made for display purposes only and then given away to one lucky winner via the "XX8 Days Of Flight" Twitter contest held by Jordan Brand. 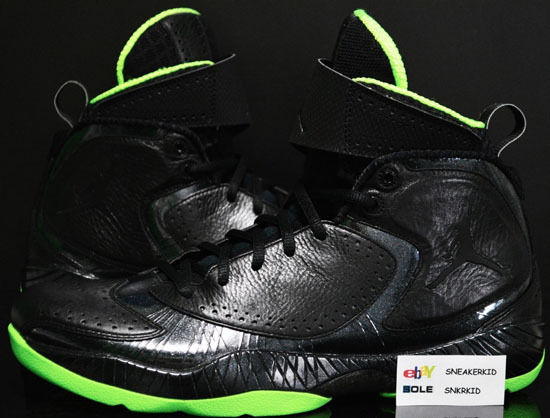 Other than the pair given away, this colorway was never available to the public or sold in stores. 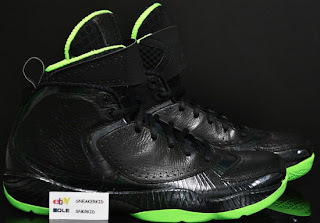 Enjoy the images below of the "XX8 Days Of Flight" Air Jordan 2012 in black and electric green. If you can fit a size 10 or would like to add these to your collection, you can click here to buy them on eBay.